Welcome to Villa Milano a gated community perfectly located in NW Port Charlotte FL with beaches golf courses shopping and dining a short drive away. Why wait to build this 2015 Hampton floor plan built by Maronda Homes is ready to occupy. Located on 6500sq ft perimeter lot with pool and wooded view. Floor plan offers 3 bedrooms great room media center and a den. Enjoy private swimming pool in addition to community pool. Loads of upgrades throughout the interior and exterior. From the moment you arrive you'll be impressed with the curb appeal including the paver stone driveway beautiful landscaping and walkway around the entire perimeter of the home. 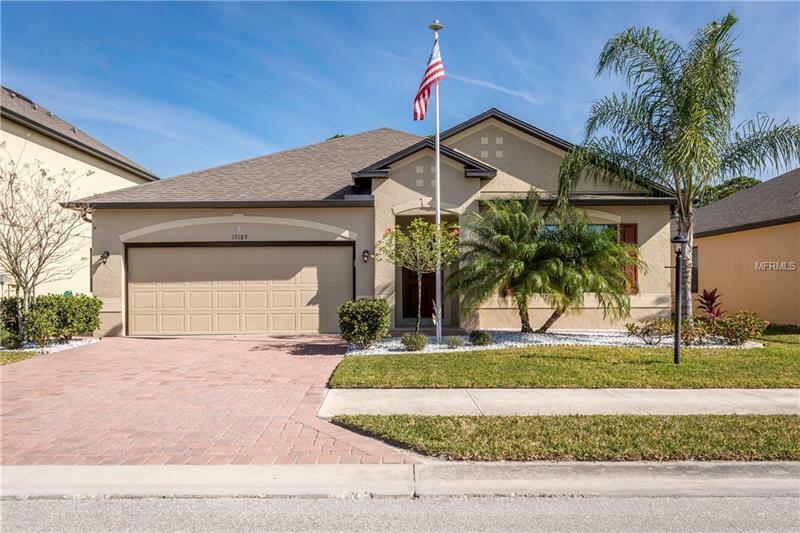 Upon entering the foyer you'll walk past the den into the open concept kitchen with 42' upgraded wood cabinets granite countertops stone backsplash center island with sink and breakfast bar upgraded appliances and more. Kitchen overlooks dining / great room followed by sliding glass doors out to the lanai and pool. Off the great room two guest rooms are separated by the media center and interior laundry room. Guest bath features tub shower combination. At the rear of the home the spacious master suite with en-suite bath features walk-in shower tub and double vanity. Crown molding throughout the home creates clean lines and multidimensional design. Attached two car garage with custom built in shelves for added storage. Shown by appointment only gated entry.